ACTIVIST LIGHTS – Talva Design Talva D.
The «Activist Lights» project, is an inter-associative project that advocates for public awareness of the issues of upcycling, sustainability and eco design. It is driven by the combination of 4 à 4 Dix-Huit, Création Engagée and Carton Plein. 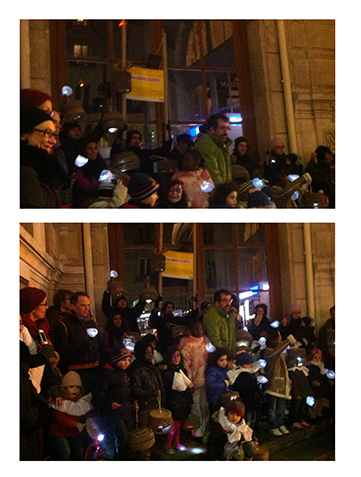 The project’s objective is to «turn on lights», to express the cultural diversity of the neighborhood (Paris 18) as well as to develop environmental responsibility through upcycling. 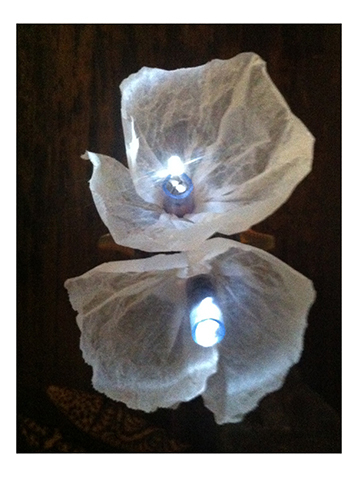 The project is to design and fabricate upcycled lighting and display it outdoors. The first event took place in December 2013, during the period of the three light holidays (Diwali, Hanukkah and Christmas) are celebrated worldwide. 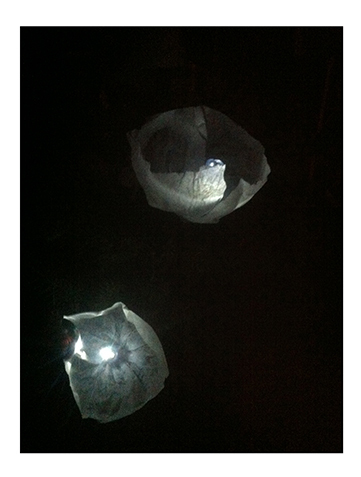 A parade of adults and children lit up the neighborhood with sustainable lamps. The project will be expanded in 2014-15. Event design, lighting design and manufacturing: Talva Design for 4 à 4 Dix-Huit and Création Engagée and with Carton Plein.